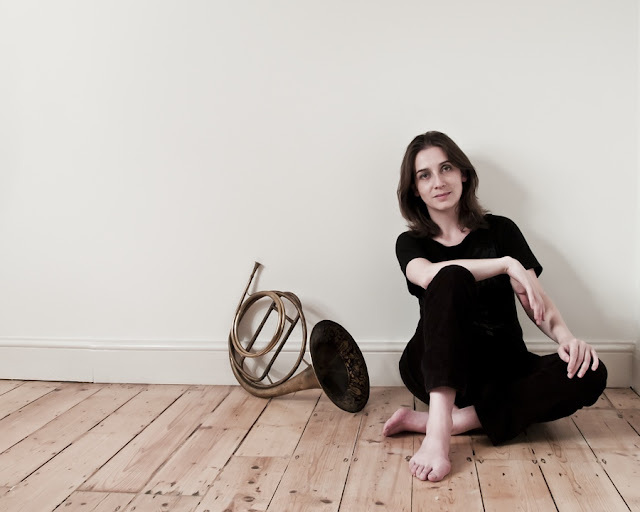 You have probably heard Anneke Scott playing the French horn even though you may not immediately recognise her name. Anneke plays in a large number of period instrument ensembles including John Eliot Gardiner's Orchestre Révolutionnaire et Romantique, the English Baroque Soloists and Europa Galante as well as a number of chamber ensembles. Whilst her recent disc, Music for a Prussian salon exploring late 18th century German chamber music with Boxwood and Brass (see my review), showcases her French horn playing talents her other disc The Celebrated Distin Family (see my review) with The Prince Regent's Band, sees her playing a rather different instrument, the saxhorn, in a programme of 19th century brass music. I caught up with Anneke over tea in Greenwich, where she lectures at Trinity Laban Conservatoire, to find out more. I have encountered Anneke in a number of guises over the years, ranging from playing in the orchestra for Opera Settecento, to giving almost a lecture recital on the horn trios and quartets of the early 19th century French composer and horn virtuoso Jacques-François Gallay (see my review), a composer that Anneke has rather specialised in. For me, one of her most memorable discs was, Voices from the Past, when she played on a variety of historical instruments from the Bate Collection, demonstrating the wide variation in types of French horn over time, from the earliest hand horn to the early valve horns. 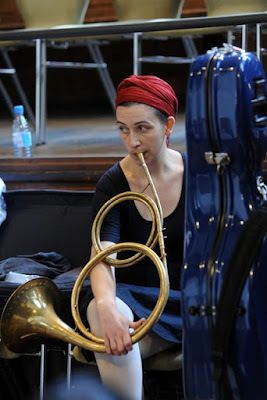 I wondered whether she had always been interested in the French horn, and how this specialisation in its infinite historical variety had come about. In fact, she started out playing the trumpet which she hated. With hindsight she realises that the brass teacher who came to her school wanted a student who read music (she was already learning the piano) to learn the trumpet, and she fitted. 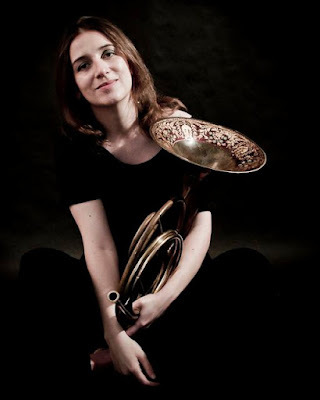 She moved to tenor horn (an instrument mainly found in brass bands), before her parents (who were musical, having learned instruments in their youth) persuaded her to learn the French horn. She never looked back and was determined to study music and went to Royal Academy of Music. She was aware of historically informed performance, even before going to the Academy. She sang in the Birmingham Schools Chorale conducted by Jeffrey Skidmore, director of Ex Cathedra, and performances included providing the ripieno choir for Bach performances with Ex Cathedra, as well as doing Monteverdi's Vespers of 1610 with performers such as His Majesty's Sagbutts and Cornetts (who are now colleagues). She comments that Birmingham Schools Music Service at the time was terrific and she played in a modern instrument orchestra which specialised in baroque era music such as Handel's Water Music, and Bach's Brandenburg Concertos. Her horn teacher at school was into repairing instruments, and he would buy old piston horns. These were the type used in the UK in the early 20th century but if you filed off the pistons they were in fact the same as the earlier French hand horns. This got Anneke interested in the hand horn, she found it such good fun. So when she auditioned for the Academy she knew she knew she wanted to learn the hand horn. At that period at the Academy, John Wallace was head of department, and he saw clearly that musicians had to have a wide portfolio covering teaching, chamber music as well as varieties of orchestral work. But in fact, whether you learned the hand horn was down to who your modern horn teach was, and some would not let you. Anneke adds that attitudes have change somewhat since then. She teaches at the Royal Welsh College of Music and Drama, as well as lecturing at Trinity Laban where she introduces her students to organology (the science of musical instruments) and the wide variety of performance practices, and sources (not just historical ones), and all her students are on message. They see the relevance of historically informed performance, it is simply part of their hinterland. In fact, so acceptable is historical performance, that Anneke worries that students go for historical performance because it is 'more authentic' rather than because they prefer the sound world. For Anneke modern performance is as valid as period, and the various shades in between are valuable too. There is a wide spectrum available, and our conversation on mixing period and modern instruments in performance covers a number of areas, including Charles Mackerras's using narrow bore trombones and experimenting with orchestral layout at Welsh National Opera. Where the players sit and where they face can have implications for how they perform, and such experimentation is part of period performance, and in fact it is this experimentation which Anneke enjoys. Of course, after a period she thinks you develop a feel for the trends, what is the norm and what is reactionary, as a result of being immersed in that particular world. As an example of how you develop an instinct, cites her performances in Chabrier's L'Etoile at the Opera Comique with John Eliot Gardiner conducting. This came after a long tour performing Brahms with Gardiner, and the Chabrier felt like an end of term pantomime. A few extra pieces of Chabrier had been inserted into the score, and to Anneke one felt wrong, and in fact it was a more recent orchestration and not authentic. She feels that you develop a feel for what is right or wrong, but it is important to keep coming back to sources. You might get some unlikely advice from a particular source, the best thing to do is to try it and see what happens. Anneke returns to the importance of context and sources a number of times in our chat, commenting that she is a real geek about bits and pieces. As a student she was a member of the Historic Brass Society and enthusiastically read their newsletters, which as well as articles and interviews with people would include lists of the sort of instruments you would need. Not just one hand horn, but a classical one, a baroque one, a French valve horn, a German valve horn. The young Anneke's reaction was 'Oh my God, how am I going to do it'. But, bit by bit she did manage to acquire a range of instruments, sometimes thanks to eBay. But she feels that she has also been lucky to develop a relationship with the Bate Collection, who gave her both their enthusiasm and knowledge about what was available. The horns in the collection are important instruments and good examples, so it is important to play with the instruments and see the differences. She adds that her own instruments will be left to the Bate Collection in her will. Over time she feels that you develop a core of knowledge so that you have a general idea how to approach any new instrument. And usually it all starts with the mouthpieces, the design for them varies over the years yet they are never dated so it is hard to be categorical. One of Anneke's instruments is very similar to that played by Franz Strauss (Richard Strauss's father), yet Anneke just could not get it to work when when she first tried playing it. In all it took her six months to get to know the instrument, she started by varying the mouthpiece and simply spending time with the instrument. 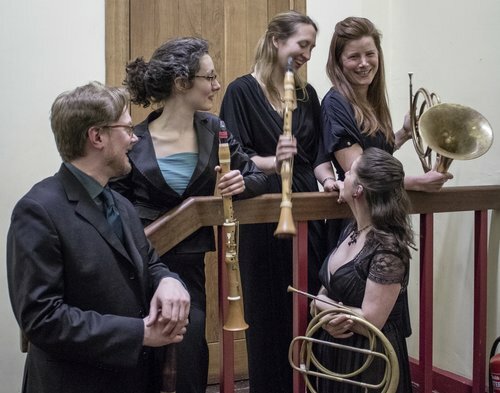 In fact Franz Strauss had published exercises for the horn and it helped to play these, but then she adds, wryly, that you usually then have to go back to the drawing board when you join the ensemble. But it helps to get feedback from your colleagues, particularly if someone who knows your playing can step back and simply listen. The conversation having touched on Richard Strauss and his father, I was curious as to whether Richard Strauss's First Horn Concerto, written for his father to play, was written for the hand horn (and whether it could even be played on one). The general view (Anneke mentions that someone has written a thesis on the matter) is that parts of it could be but not the middle movement. One of the problem is a mis-translation, the word in German for the instrument used is wald horn which can mean hand horn (Brahms uses it as such), but not necessarily so. A number of well known 20th century composers used the word wald horn for parts not playable on a hand horn. In fact, a lot of players used both the hand horn and the horn with valves, and there was a general view that you developed your sound best on a hand horn. With The Prince Regents Band and their new disc The Celebrated Distin Family the instrument Anneke is playing isn't even a French horn, it is a saxhorn and Anneke comments that the experience is 'terrifying' as the instrument is really different of the horn. Saxhorn were invented by Adolphe Saxe in the 19th century and intended as a coherent set of instruments from small to large (rather than the modern assemblage of trumpet, horn, trombone, tuba). The mouthpiece is really different to that of a horn, Anneke adds that she could in fact play the instrument with a horn mouthpiece but 'what's the point! ', also the valves are right hand, rather than left. When first faced with the instrument, she felt rather out of her depth. Some of the saxhorns survive in modern usage in brass bands, but though some of the other players in The Prince Regent's Band have brass band experience, Anneke doesn't. So it was a steep learning curve. Which brings me to the question as to why she got involved in the first place. 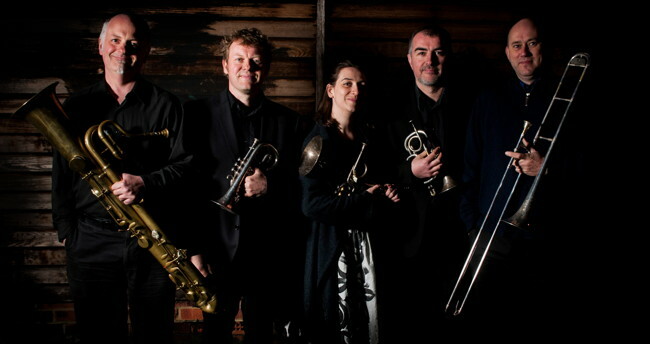 In fact, she feels that the Distin family is an important part of the history of brass instruments, they were instrumental in creating and promoting the modern brass ensemble and its repertoire. And of course, she also plays the horn with the ensemble too, as their repertoire goes beyond just music for saxhorns. These latter instruments bring a different sound world to the music written for them. 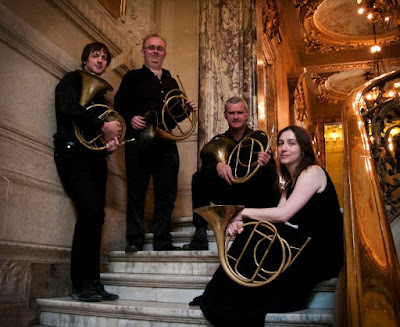 Anneke cites a works like Victor Ewald's quintets, these are regularly played by a modern brass quintet but were written for and ensemble including varieties of saxhorn, two cornets, alto horn, baritone and tuba; these instruments bring a different sound world. In fact, a lot of the Prince Regent's Band's repertoire is quite well known, but usually played on modern instruments. 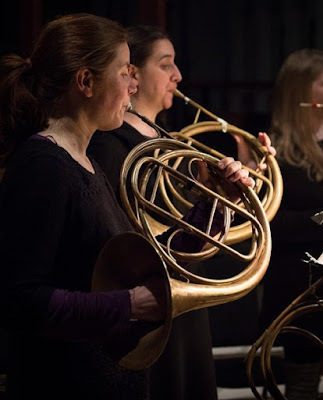 Part of the attraction of The Prince Regent's Band's repertoire, concentrating on 19th century brass music, is that the period was one of great invention and innovation, so that there were a lot of instruments being created or improved. When John Eliot Gardiner conducted Berlioz's Les Troyens at the Chatelet Theatre in 2003 for the Berlioz Centenary, (a production which can be enjoyed on DVD) the Orchestre Revolutionnaire et Romantique used a set of saxhorns for the marches (in contrast to the Covent Garden where they were played on modern instruments). Both Anneke and I agree that the use of saxhorns gave the music a very particular quality, Anneke calls it eerie, and we have a long discussion about whether this sound quality is a natural function of the instruments or simply because nowadays we are unfamiliar with their timbre. For The Prince Regent's Band (PRB) disc The Celebrated Distin Family, the sources for the material were incomplete. They had lists the music, piano reductions and instruments used but no scores or parts. So the question was, how to create the repertoire to enable the group to express the fascinating story of the Distin family. A group which is virtually forgotten nowadays yet effectively created the modern brass band. The members of PRB worked as a group, work-shopping the pieces, experimenting, asking questions like 'what happens if we put it up a fourth'. But Anneke points out that in the period, there was rarely a single authentic version of a piece, that musicians were pragmatic and flexible, the motto being 'lets make this work'. She feels that this is an aspect to period performance often missed by critics, who see the performers as 'heads in a library book' but there is practical work too, needed to make things work. Too often period performers are seen as too academic, but Anneke feels there is a lot of creativity and flexibility and in many ways this mirrors the 19th century where there were lots of creative things going on. In the present day, Anneke feels that it is important to go on experimenting, and sometimes you need to try going too far in order to freshen thing up. See Anneke's website for further information.